The morning air is crisp, the aroma of olives, and ripe grapes bearing the weight of sugar and juice pull the vines toward the earth, and the must of stone buildings that are hundreds of years old greet me each morning as I look out over the rolling hills of Northern Tuscany. There is an undeniable uniqueness to this part of the world – a uniqueness that begs a cook to pay attention and learn. Time stood still as I walked through village after village that initially seemed staged for tourists like me, but eventually demonstrated that this is life in Tuscany. There are real people living in these hilltop, fortress like, storybook clusters of humanity. It has been this way for dozens of generations. I spent three nights in a refurbished (but not changed) castle in Gargonza, Italy where Dante Alighieri wrote “Dante’s Inferno”, one of the great classic pieces of Western literature in 1308. Today this site affords individuals and small groups the opportunity to feel his presence while enjoying the beauty of Tuscan life. This same feeling was present in Montepulciano, Siena, Monticchiello, and Pienza, as I worked my way through the Tuscan countryside enjoying that aroma of grapes ready for harvest, fig trees bearing fruit, and olives ready for the curing process to begin. In Tuscany, and I am sure much of Italy, Farm to Table is a given. People eat what is most prevalent in their market area – this only makes sense to them. Fish along the coast, regional charcuterie from family and restaurant cellars, wine from the grapes of the region, homemade pasta – of course, and wonderful cheese – everywhere. Beef from the Charolais steer – not usually aged, pork from local pigs, and of course – the wild boar is king in Tuscany. Porchetta, Prosciutto, Salumi, and local chickens are typical on menus and in the home. The cardinal rule for chefs, and home cooks is that flavor rules. Whether it is meat, fish, pasta, vegetables, or cheese – flavor first is the driving force that binds all regional Italian cuisines into one. Slow and low for braised meats, open fire grilling for whole fish, time testing fermentation techniques, vegetables picked at their vine-ripened peak of maturity, and generous use of fresh herbs work together to make even the simplest meal – extraordinary. It may have been Carlo Petrini who coined the term “Slow Food” and helped to make it an international movement – but in these Italian villages – slow food has always been a way of life. Mealtime is important. The food – yes, but the TIME to enjoy the meal and the people around the table is of equal importance. Slow it down, forces people (like myself) to stop, take notice, invest in preparation and invest in the experience of food enjoyment. I had the pleasure, and the honor of enjoying a spectacular meal with a Tuscan family. A freshly hunted wild boar was the centerpiece that we celebrated together. The tagliatelle was hand made and served with wild boar ragu, the short ribs were braised and served with the drippings from the meat infused in a rich, virgin olive oil, the leg of boar was slow roasted with fresh herbs in an open wood fire, and the potatoes and shallots were cooked buried in the coals of that same wood fire. Lots of local Sangiovese during the meal was finished with a house made ice wine from last year and fresh biscotti with hazelnuts. It would be difficult to find a meal more complete, more authentic, more flavorful, or more in tune with an experience than this one. Whether it was a local family home, a restaurant in a quaint Tuscan village perched on a hill overlooking fields of olives, or in a central square in Firenze (Florence) – the food always wrestled for center stage with the view. Views down narrow cobblestone streets framed by buildings that were constructed 500 years earlier were only surpassed by breathtaking vistas of rolling Tuscan hills, spikes of Cyprus trees, or Umbrella Pines (the source for pignoli nuts), and unbelievable sunsets. We are so wrapped up in making things “new” that we often times lose sight of just how significant and essential traditions in cooking are. Look to the small villages whether in Italy, France, Germany, Austria, China, or elsewhere in the world to know how important tradition is to the “experience” of enjoying food. The more I am around people who cook well and people who enjoy eating great food, the more I have come to know that without an understanding of, and without the experience of history – great food is an illusion. That slow roasted leg of boar on an open fire was one of the best meals I have ever enjoyed – it was a process developed hundreds of years before by the people who hunted and cooked in a way that was natural to their surroundings. The important takeaway from my short time in Italy and previous experiences in France is that cooking cannot be separated from an appreciation of farming, art, sculpture, architecture, writing, music, and language. These components of culture combine with food to create the perfect recipe. 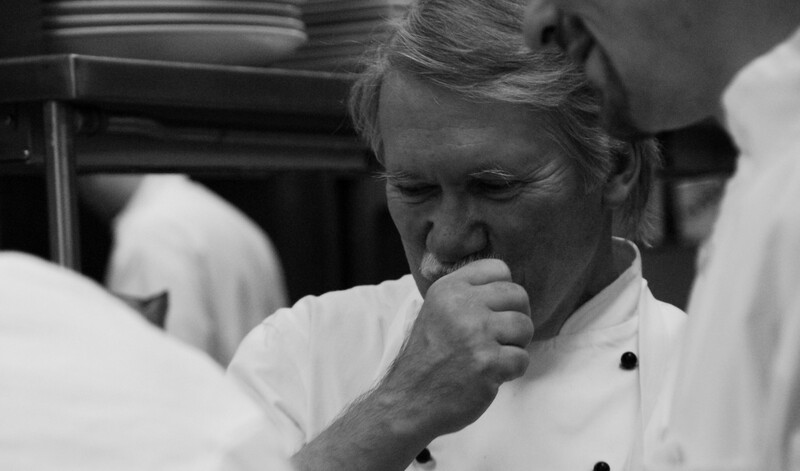 Great cooks crave an understanding of an appreciation for all of the components of a culture. I am always humbled to find out how little I really know about cooking when I encounter and break bread with those people who view cooking as not a process but as part of their being. If you think you know a great deal about cooking – wait until you immerse yourself with those who live it and have done so for generations. I was incredibly impressed by not just the shear number of restaurants in Italy, but more importantly by how essential they are to village life, the vibrancy of a population, the communication forum that restaurants provide, and the representation of a regions history are closely connected to cooks and restaurants. The people who cook for a living are the caretakers of everything that is important to the people in a community. We have lost this, in many respects, in America. It is the neighborhood restaurant that can breathe life into a community. Finally, I am firmly convinced that any serious cook must travel. He or she must immerse in the culture of a people in order to attempt mastery of a cooking style. The real education of a cook comes from this immersion and should be on the “must do” list early in a cook’s career. Travel, travel often, open your eyes, listen, take a deep breath, and savor the moments when culture, history, and cuisine combine.